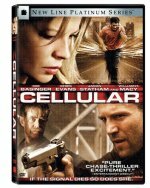 Cellular release date was Friday, September 10, 2004. A man receives a call on his cellular phone from a woman who says she's been kidnapped, and thinks she and her family are going to be killed soon. The catch? She doesn't know where she is... and his cell phone battery might go dead soon.